What the Hell is Kief, Exactly? Unlike some of the other methods of concentrating cannabis, though, kief is super easy to make at home and requires almost no extra investment. So why would you want to save/smoke it? Let’s break this down. Where can I find kief? Guess what? Kief’s a product collected from cannabis flowers and leaves… so if you’ve got weed, you’ve got kief. Instead of smoking the whole flower, the tiny trichomes covering the plant’s surface are broken away and separated out, leaving behind what looks like a beige powdery substance -- and there’s your kief! OK, so how do I collect it? Separating kief is easy. You can purchase a standard grinder with a filtration screen built-in, which allows you to collect the kief in the grinder’s lower chamber and then sprinkle it onto pipes or joints at your leisure. Another more professional method of refining kief is a series of microscreens, often built into wooden boxes (normally called “kief boxes”). These allow you to filter out various grades of product and get to the goal, which is a pure kief made up of nothing but tiny trichome heads rather than the original mix of trichome heads, plant matter, trichome stalks, and various particulate. 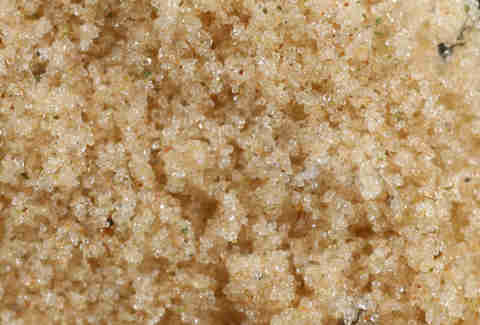 This super-pure kief is highly-regarded in the cannabis community and is often referred to as “99% sift,” indicating that it is close to 99% pure trichome heads. 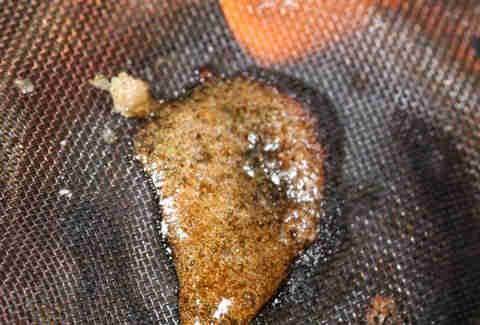 You won’t get there your first time, but a determined kief-sifter will tend to make a better product with each batch. One of the benefits of kief over other methods of making hash, including butane, propane, ethanol, and even water, is it requires almost no equipment and has no safety concerns. For consumers who don’t like the idea of chemical solvents, kief stands alone as a supremely natural method of concentrating cannabis, dating back several thousand years to hash-making locales like Morocco and Afghanistan. Even water hash can get moldy and could constitute a health risk if poorly-made… but kief is basically idiot-proof, in that you’ll always get a safe product that is stronger and more pure than straight-up marijuana. 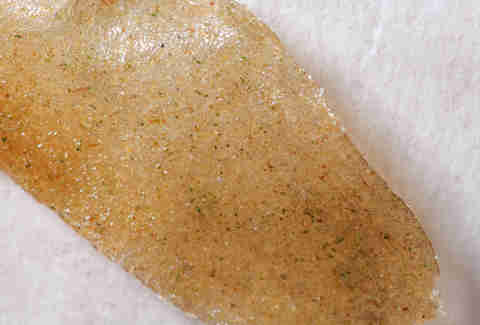 If you want to go one step farther, you can also press your refined kief using light heat and get something similar to a shatter, which can be easier to work with than loose, dusty kief. What’s the best way to consume kief? As previously stated, most people just end up sprinkling a little bit (or a lot) of kief on top of the weed in their pipes or joints; though this is a great method that adds a punch of potency and/or flavor to normal flowers, it doesn’t allow you to experience the kief on its own. Our recommended method for smoking kief is to use a screen on top of a glass pipe. You can purchase durable specialty titanium screens for smoking hash at well-stocked head shops, but you can even use a standard stainless steel pipe screen with no issues. Gently heating the kief using indirect flame (held an inch or two above the kief) is the best way to release the essential oils and prevent burning it -- good kief will begin to bubble and melt like you see with high-grade water hash, leaving behind very little residue and giving a full-flavored hit. On the flip side, poorly refined kief can taste harsh and woody due to the presence of remnant plant matter, so if you care about flavor, it's important to try and get your kief as clean as possible before smoking. 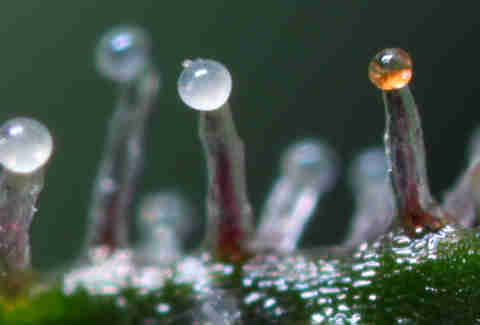 If you have access to any kind of microscope, look for flecks of green and trichome stalks in your kief -- this will indicate that your kief isn’t totally pure and may need more refining. Can I dab it or vape it? Generally, no… but there are exceptions. Though most kief isn’t clean enough for traditional dabbing/vaping methods, if you're lucky enough to find something close to the fabled “99% sift,” that level of kief is certainly dabbable and could even go into certain vape pens. However, most at-home kief collected in a grinder won't be clean enough for these methods, and will leave behind a lot of residue which can clog up a vaporizer and leave an unpleasant taste on the nail of your dab rig. We recommend the “metal screen + glass pipe” method for this reason, though glass companies also make what are referred to as “clamshell bowls” with a hot wand specifically for hash-smoking which serves the same function. 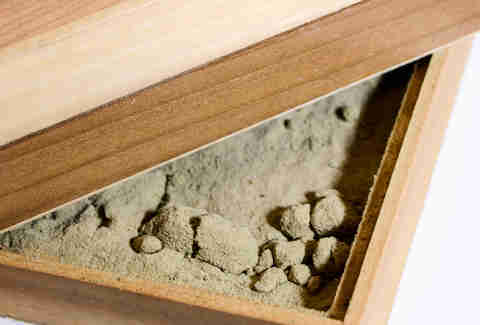 Simply put, smoking kief gives a much stronger effect than regular cannabis flowers. Rather than sitting somewhere between 12% and 25% THC, kief (depending on purity) can be up to 70% THC -- this means that you get a much stronger effect from less material smoked. Kief also tends to be strong since it's usually made from a wide range of different strains over time, giving you a varied mix of cannabinoids, terpenes, and flavonoids in the mix. Many veteran smokers report kief giving them a strong, almost narcotic effect that's perfect for bedtime. Yep, it really is. Now that you know the correct way to collect, refine, and smoke it, you’re kind of a kief expert -- a kief chief, if you will.